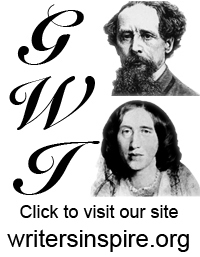 Here you can find some of the inspiring audio, video and text resources of relevance to the ‘Great Writers Inspire’ project. More will be added throughout the project. A series of short introductory lectures by experts at the University of Oxford celebrating a range of great writers and why they inspire. Each lecture in this series focuses on a single play by Shakespeare, and employs a range of different approaches to try to understand a central critical question about it. Lecture series looking at D.H. Lawrence, author of Women in Love, Sons and Lovers and Lady Chatterley’s Lover. These lectures focus on specific aspects of Lawrence’s writing; from his use of humour to his views on Christianity. This mini-series is intended to introduce George Eliot to undergraduates. This series of six lectures introduces six plays from the Elizabethan and Jacobean theatre. Once popular and now little-known, they can tell us a lot about what their first audiences enjoyed, aspired to and worried about. A five-part lecture series aimed at first-year students, taking them through Old English language and literature, its cultural importance, and an overview of the history of the Anglo-Saxon period. Ebooks and text resources from the Oxford Text Archive – among the many resources in the OTA can be found over 2,500 texts that are available in different formats, including ePub (for ebook readers). The catalogue can be searched or browsed, for example by date, author or language.